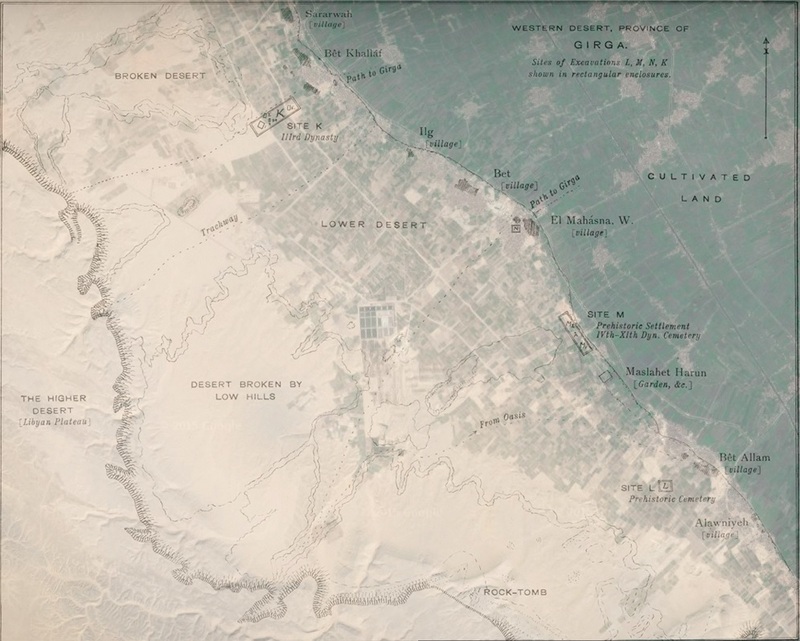 Investigations of this desert area, north of Abydos, were undertaken by John Garstang in the early 20th Century. He discovered 3rd Dynasty cemeteries and in the low desert behind the village of Beit Khallaf, he found five monumental mudbrick mastabas, similar to those of the Early Dynastic period. The most impressive of these mastabas, known as mastaba K1, was attributed to Djoser from a seal impression found in the tomb. Garstang, John 1903. Maḥâsna and Bêt Khallâf. British School of Archaeology in Egypt and Egyptian Research Account 7. London: Bernard Quaritsch. Garstang, John 1904. Report of excavations at Reqaqnah, 1901-2: tombs of the third Egyptian dynasty at Raqâqnah and Bêt Khallâf. Westminster: Constable.